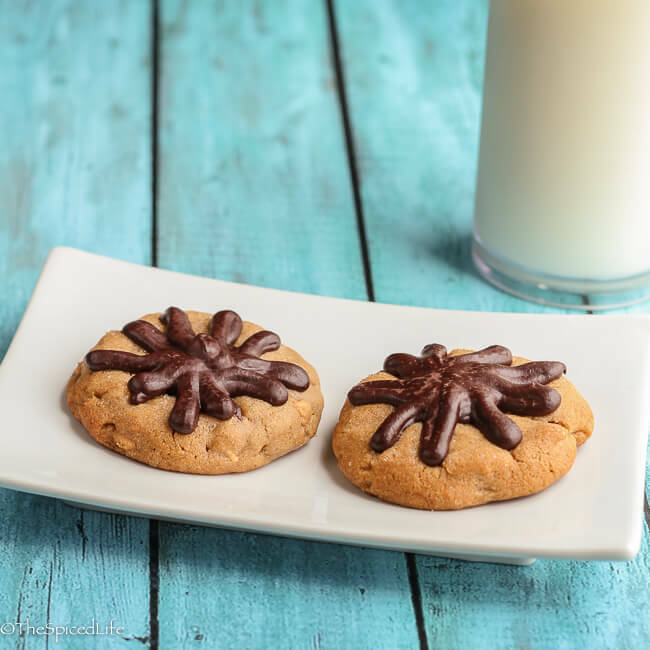 Chocolate Drizzled Peanut Butter Cookies are the perfect pantry dessert–I made them upon returning home from Italy with what I had around, and they turned out delicious, even if the chocolate is not perfectly shiny. I was provided a copy of Bake Happy in return for an honest review. Affiliate links have been used to link to items that I love and am discussing in this post. 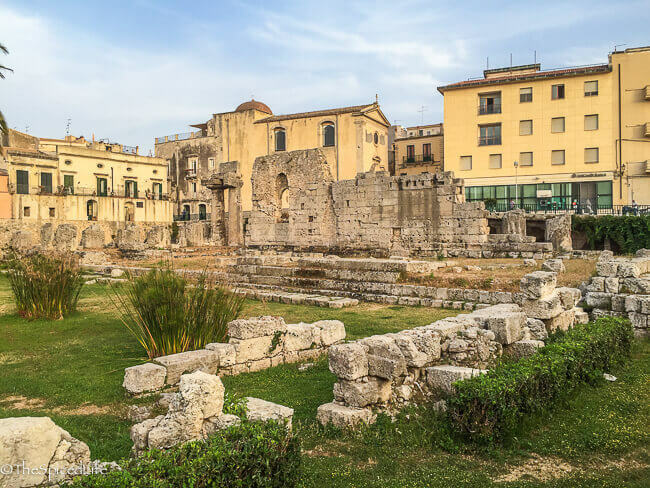 Keep reading to hear all about our visit to Siracusa, Sicily! I have been wracking my brain about the best way to share our trip to Sicily. We did and saw so much–so I finally decided to split it up a bit. 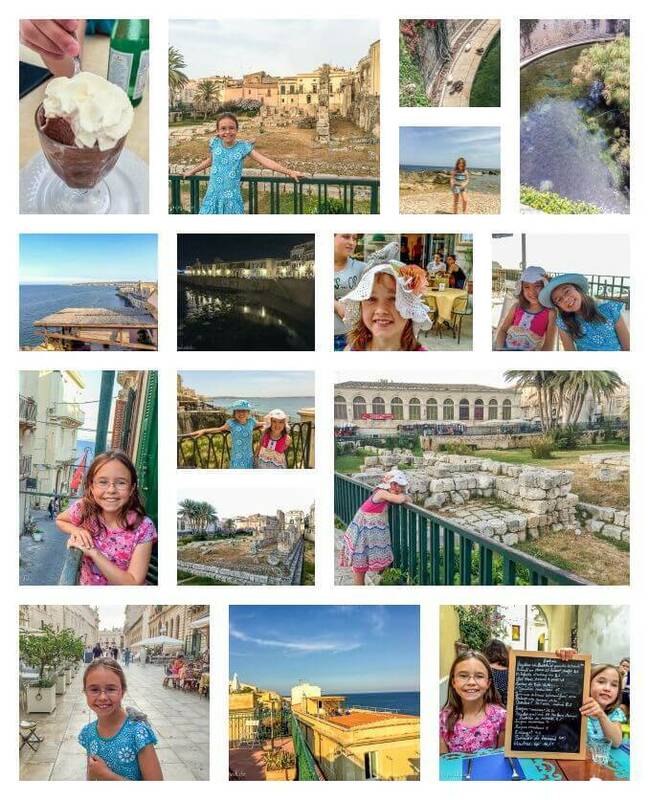 We stayed in Ortigia, in Siracusa, in the southeast corner of the island for a 3 day weekend (it was a hard decision picking just one area!). John and his students took the train, while the kids and I drove alone. I count as one of my triumphs figuring out the ferry on my own–I realize that sounds kind of silly but these things are difficult as the only adult with 2 kids in the car, none of us speaking the language! The drive there wasn’t quite the getting lost in the mountains adventure that Positano was, but it was long, about 4.5 hours, and it included the ferry and, most shocking of all, a section of the freeway in Sicily where the median, planted with tall golden (dead from heat or drought?) grass, was on fire. I don’t mean some smoke here and there, I mean flames shooting out in between the rails of the guard rail! The kids and I were bug-eyed! My mom asked why didn’t I take a picture? Uh, because I was high tailing it out of there as fast as I could! 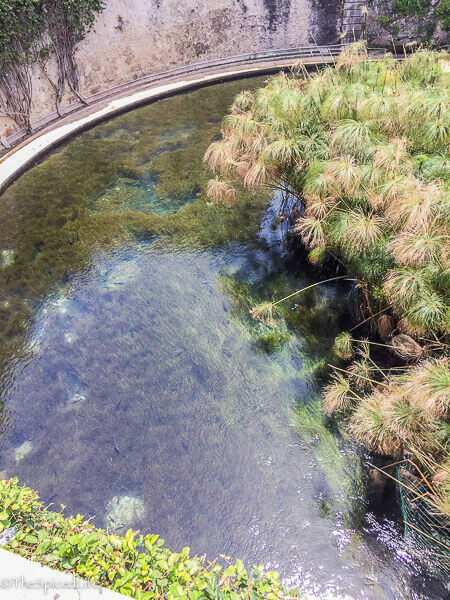 Down the winding main street from the cathedral is this ancient spring, where fresh water still bubbles up just as it did in ancient times when it was the city’s main water supply. Legend has it that the goddess Artemis transformed her beautiful handmaiden Aretusa into the spring to protect her from the unwelcome attention of the river god Alpheus. I read those stories over and over again as a kid. The idea that I was basically at the location that inspired one of them, well, mind blown. First and foremost, we stayed in a fun little former palazzo turned B&B, that had the most gorgeous views from its rooftop breakfast patio. Several of the pictures above where you can see sea but no beach were taken from the patio. We walked a lot, all over the island. We ate lots of good food. Ironically, one of the best meals we had in all of Italy was at Le Vin de l’Assasin Bistrot, a French (!) restaurant across the way from our lodging–you can see the kids holding up the chalkboard menu in the bottom of the collage. Even more ironically given how much we loved it, John chose to eat with his students that night and missed out on the amazing steak and roasted potatoes–which were so good, we ordered extra dishes of the potatoes. I plan at least 3 more posts about Sicily (ack! ), but a few more things stand out about our wandering. First, there was the afternoon we thought we would take a dip in the sea right by our hotel–you can see Sammy, in the upper middle of the collage, standing on a rocky beach. There were other beach goers down there, and some in the water, so we figured it was fine. Well anyway, we all wanted to be out a bit further so we started clambering over the rocks to get to more open water when a woman started frantically yelling at us in Italian. The only word we caught was “medusa” which means jellyfish in Italian. Yikes. And she was serious about it too–she did not stop yelling until we got out! I have no idea how scary these jellyfish would have been but we ceased tempting fate and decided to play elsewhere! And because this is a food blog, Ortigia is where I finally tried something I have always been curious about, Caffe (coffee) Granita con Panna (with whipped cream). We had several limone (lemon) granitas while we were in Italy, all predictably delicious, but I had always been curious about the coffee granita. It tasted kind of like a sweet coffee slushie with thick, rich whipped cream. I liked it–and Alex went crazy for it. That is her hand and spoon you see diving into the picture in the upper left of the collage! I am glad I tried it, but I will take the limone made with fresh lemons in lemon season every time. Phew! Now about these cookies! This is the first dessert I made after returning home. I always have–even after being gone for 6 weeks–butter, peanut butter, chocolate and spices, so it was a no brainer. However I did not have cream for making the drizzled chocolate ganache. I decided to use a little sweetened condensed milk and butter with a bittersweet chocolate, and the flavor and texture turned out wonderfully. As you may have noticed, however, when the chocolate set it separated a bit. Ah well. C’est la vie. You might be wondering about the chocolate drizzle pattern. Some of the cookies had a more traditional drizzle. 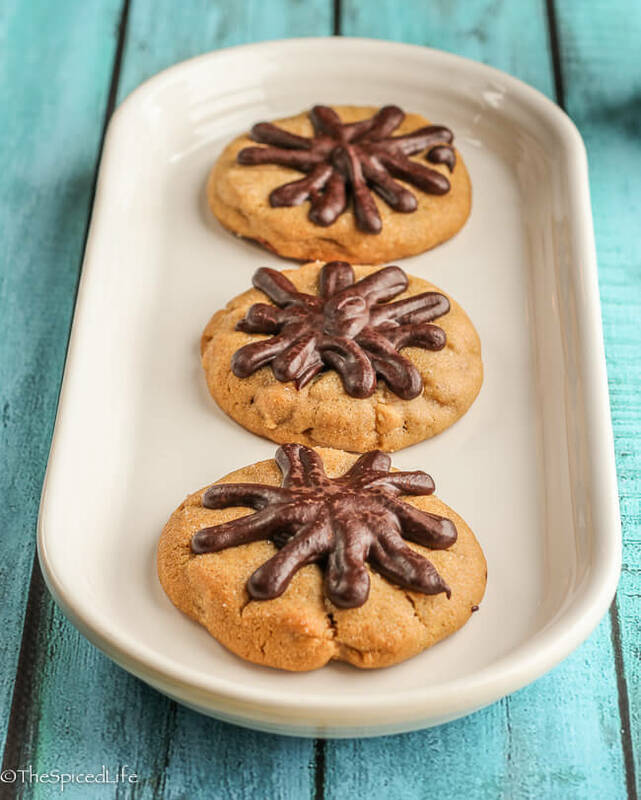 But the cookies call for flattening, like many peanut butter cookies, so I used the daisy pattern on my Nordic Ware Cookie Impressions , and then followed the pattern when drizzling the chocolate. I intended a thinner drizzle, but snipped the corner of my plastic bag too high. I don’t think anyone cared. these were good cookies. The cookies came from Judith Fertig’s Bake Happy: 100 Playful Desserts with Rainbow Layers, Hidden Fillings, Billowy Frostings, and more ; as soon as the book arrived, I told Sammy we were going to bake from it together, because it is right up her alley with all of its colorful, fun themes. However, I then basically made her choose the peanut butter cookies (shame spiral!) because I still was not up to any bigger baking projects. Which is not to say the recipes require 3,000 ingredients and 4 days to prepare. They do not, but nor are they for the most part simple recipes you make in under an hour. Which is not, by the way, in any way a criticism of the book, more just a clarification of the kind of book it is and of where my mind was when I set about using it! The book is whimsically styled, as you might expect, but also sturdy and pleasing to hold (ok I know that sounds weird, but I really dislike flimsy cookbooks!). There are not a lot of color photographs, only about 30 out of 100 recipes. I have many recipes bookmarked, including: Browned Butter Cookies with Rosemary Caramel Drizzle; Creativity Kickstarters (little sugar cookies with Sweet Orange Mint Gremolata); Teacup Lavender Lemon Soufflés; Lime Chiffon Cupcake with Blackberry Buttercream; Citrus Glazed Sweet Potato Bundt Cake… and the list goes on! 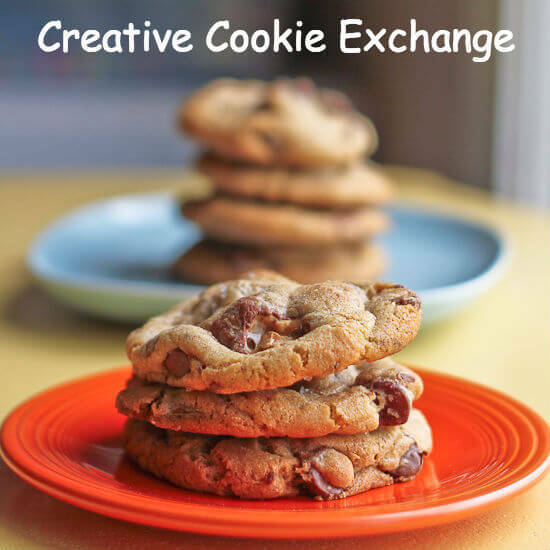 The book is a nice mixture of traditional and comforting (for example, these cookies) with more contemporary and creative. As I get back into the swing of things, I definitely plan to revisit the book for something a little more interesting–which is not any criticism of this recipe either! These cookies were wonderful. Closely adapted from Judith Fertig. 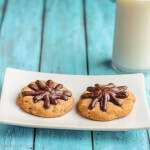 You can certainly use a "plain" chocolate ganache, but I agree with Fertig that a spiced one nicely complements the peanut butter--and I do not usually like cinnamon in my chocolate! Because my ganache split, I am giving you her recipe for the chocolate ganache. Note that I call for chilling the dough--the prep/cook times do not reflect the chill time. Cream the butter. Scrape down the sides and bottom of the bowl, and then beat in the brown sugar. Scrape again and beat in the sugar. Beat until light and fluffy, about 3 minutes. Scrape down the sides and bottom of the bowl, and beat in the peanut butter until completely blended. Beat in the egg and then the vanilla, scraping the bowl as needed. Mix in the flour mixture, 1/3 at a time. Press plastic wrap or wax paper down onto the dough and then cover the bowl. Chill in the refrigerator for at least 2 hours, preferably overnight (my compromise is to bake a few cookies off after 2 hours but the save the rest for later). When you are ready to bake, preheat the oven to 350 F. Line your baking sheets with parchment paper or a silicone mat. Place about 1/4 cup of granulated sugar into a small dish. Scoop balls of cookie dough about 2 tablespoons in size, roll them quickly into a ball, and place them on the baking sheet at least 2 inches apart--I like 6 cookies to a sheet. Lightly wet the bottom of a drinking glass or a cookie stamp. Press the glass or stamp into the sugar and then press a cookie down to flatten it just a bit--not a lot. Repeat. The cookies will have some sugar on the top--great. Also sprinkle them with a smattering of coarse or flaky sea salt. Bake for 12-14 minutes, until the cookies are set and starting to brown at the edges (I like mine less done, and then I let them cool completely on the pan). When the cookies are cooled completely, prepare your drizzle. To make the ganache: heat the cream in a medium saucepan over medium heat until the edges start to bubble. Add the chocolate chips and remove the pan from the heat. Let the chips sit for a few minutes, and them whisk them smooth. Whisk in the spices and vanilla--the ganache should be smooth and easily drizzled. You can fill a plastic bag with the ganache and snip the corner to drizzle in a pattern. You can also just drizzle with a spoon or fork. Let the chocolate set completely before serving or storing the cookie. It looks like you had an amazing trip, I am so jealous! And I love the sound of these cookies, such a great flavor combination. Love that you’re mixing your travel stories into recipe posts! Makes it easier to share all of it. 🙂 Now I”m bummed we didn’t really try any of the chocolate in Italy! I might have to order the kind you suggested to get the full experience. 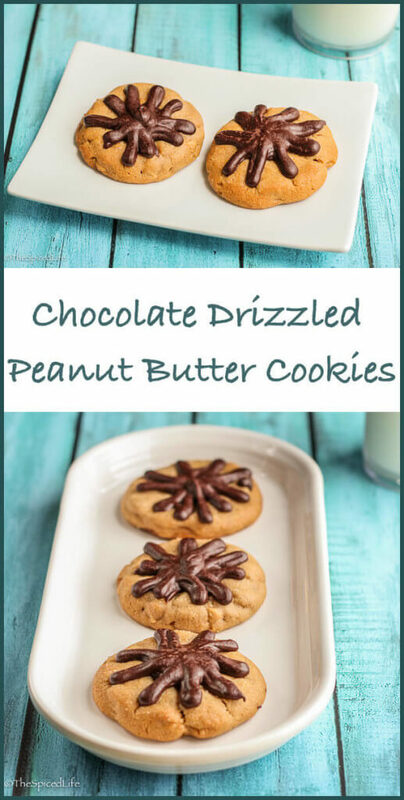 THese cookies sound so tasty – can’t beat chocolate and peanut butter! I don’t think I ever saw it outside of Sicily. Because I would have bought more still! 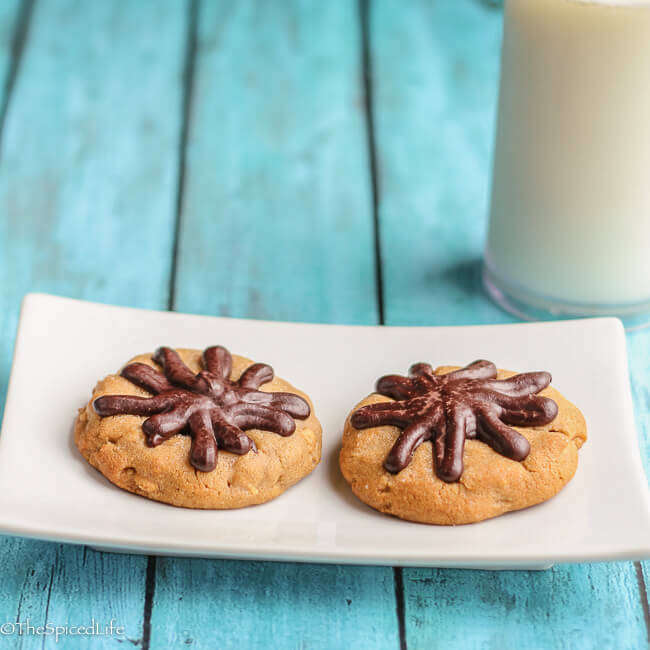 I Love peanut butter cookies, they are a house favorite. These look delicious! First of all, I love all thing Italy AND Greece. 🙂 Second, peanut butter and chocolate? Done. Nothing better than those simple and fantastic flavors when together. Chocolate and peanut butter is my favorite combination. <3 Seems like you had an awesome trip! Gorgeous photos! What a delightful recap, Laura! Your pics are amazing too! Keep ’em coming! 🙂 and those cookies, woohoo!